First, melt the chocolate and butter together in a bowl over hot water. 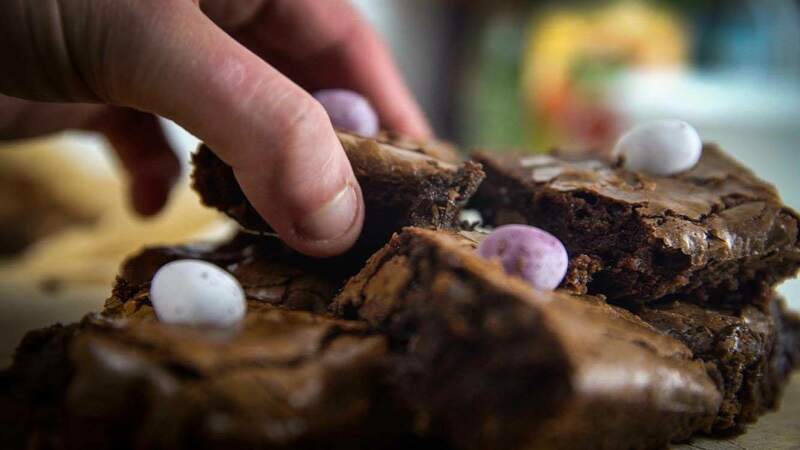 Add the mini-eggs (Keep 12 to decorate). Pour into a lined tin and bake at 180 degrees celsius for 25 minutes. 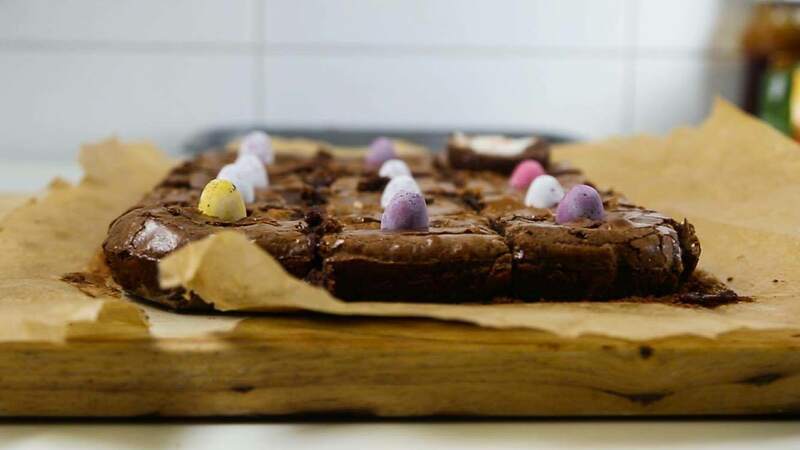 Allow to cool then cut into 12 squares and decorate with the leftover mini eggs.